When commercial property owners need roof leak repair service or other types of roofing repairs, it is essential to get that work done as soon as possible to restrict the amount of disruption to the tenants, clients, and staff who occupy and/or frequent the building on a regular basis. This sense of urgency, as well as the typically unexpected nature of a roof repair, can potentially predispose a building owner to cut corners, so to speak, relative to the cost of labour and materials. Unfortunately, and all too often, such a short-term cost-saving mentality can result in far more expensive repairs in the long run, especially if the job is handled by inexperienced internal maintenance staff or outsourced to non-qualified general contractors/handymen. It is simply too risky to entrust the structural integrity and optimal performance of a roof to a repair person or group on the sole basis of getting a better or lower price; there is much truth in the oft-used expression that one gets what they pay for, and in the case of commercial roof repairs, it would be wise to invest in the services offered by the certified roofing contractors from Can-Sky Roofing. In addition to hiring reputable roofing contractors with the skill and experience to do roof repair work in a capable and complete manner, commercial property owners who choose Can-Sky Roofing are also assured of using health and safety certified roofers. Can-Sky Roofing is an affiliate of the Infrastructure Health and Safety Association (IHSA), known as a leader in health and safety education for individuals who perform high-risk activities such as working at heights. 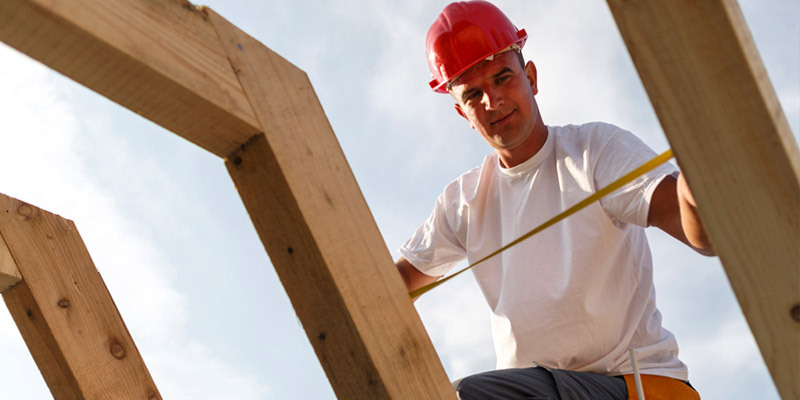 The IHSA administers the Certificate of Recognition (COR) program for construction firms in the province of Ontario. 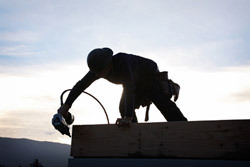 The COR program certifies that such firms, including roofing contractors, have developed and implemented a suitable health and safety management system for their respective industry, thereby allowing these certified roofers to bid/quote on both public- and private-sector projects in the province; to that end, Can-Sky Roofing is currently in the process of becoming COR-certified roofers. The importance of selecting health and safety certified roofers for the safe and effective repair of roof leaks or other types of damage to a commercial roof cannot be overstated. To learn more about Can-Sky Roofing’s affiliations with certification boards and health and safety organizations, including IHSA, WSIB (Workplace Safety Insurance Board), and RCI, Inc. building envelope consultants. For any commercial roof leak services and all your other commercial roof repair needs, call the certified roofing contractors from Can-Sky Roofing today at 647-691-0487 or contact us to request your no-obligation estimate.